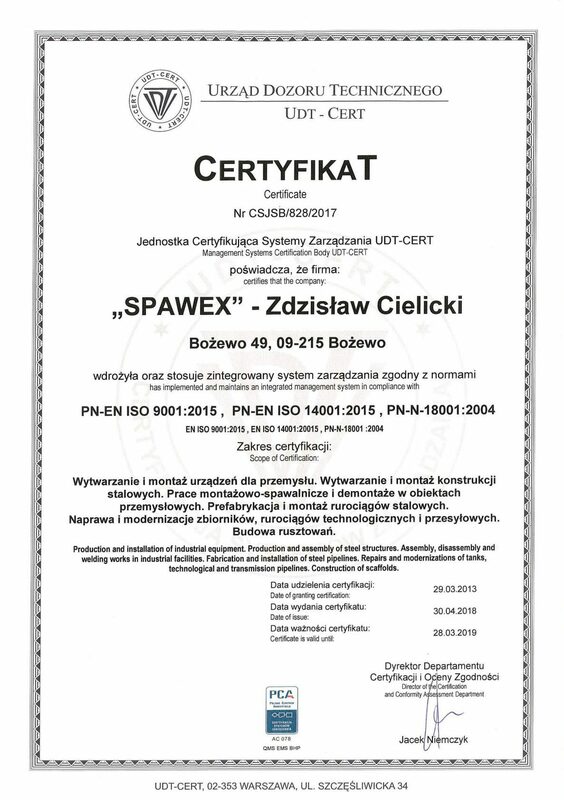 Company SPAWEX – Zdzisław Cielicki, was established with a view to rendering for the welding industry, and has been operating on the market since 2006. The subsequent stages of the company’s development over 11 years have enabled us to offer comprehensive solution while executing construction projects, repairs and modernizations. 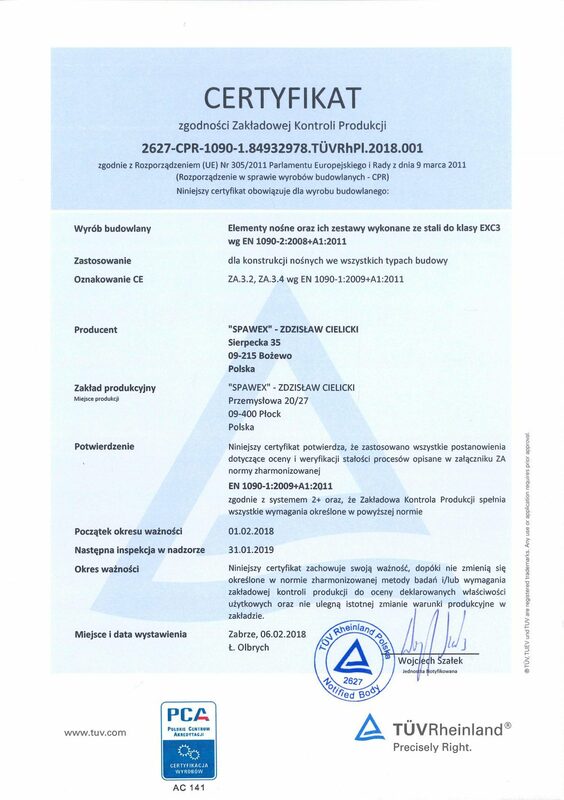 The company mainly operates in the rafinery and petrochemical industries, as well as the chemical and power industries. Our goal is to provide professional and comprehensive support for general contractors in the construction, repair and modernization of pipelines, process equipment and steel structures. We can achieve this thanks to our experienced workers with their many years of service and the fact that we have our own equipment. 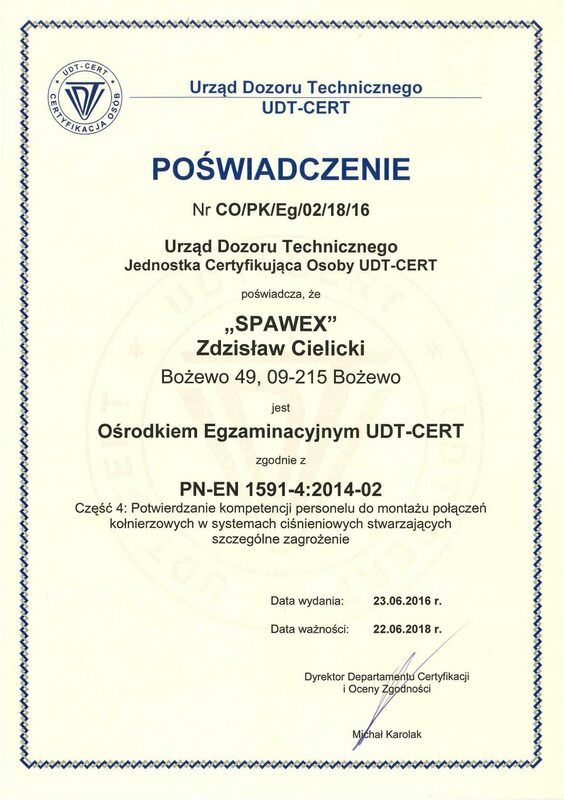 We hold licences awarded by the Polish Office Technical Supervision UDT, and the Certificate of the Integrated Management System relating to OHS, Environmental Protection and Quality Assurance, which were awarded by the UDT-CERT notified body. 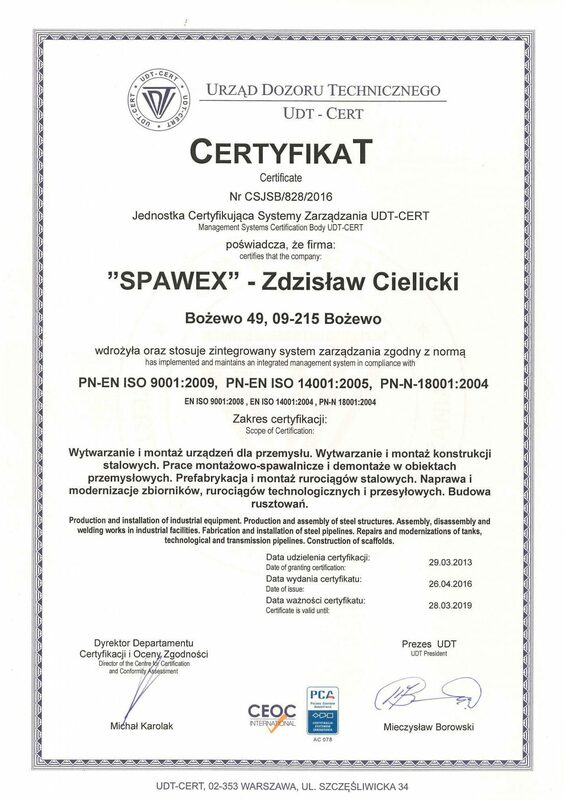 Implementing the strategy of continuous development and improvement of services, Spawex company has implemented an Integrated Management System for compliance with the following standards: PN-EN ISO 9001:2009, PN-EN ISO 14001:2005, PN-N-18001:2004.
assembly and welding work in industrial facilities. 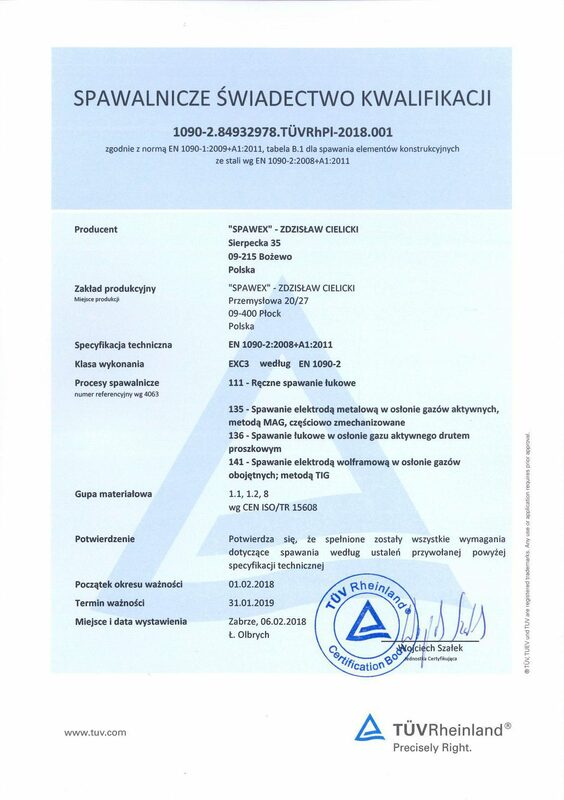 We hold a licenses issued by the Polish Office Technical Supervision UDT for repairs and modernisations pressure and low pressure tanks for toxic, caustic, combustible liquid materials, constant pressure tanks, technological pipelines for combustible, toxic, caustic materials, transmission pipelines for combustible materials. 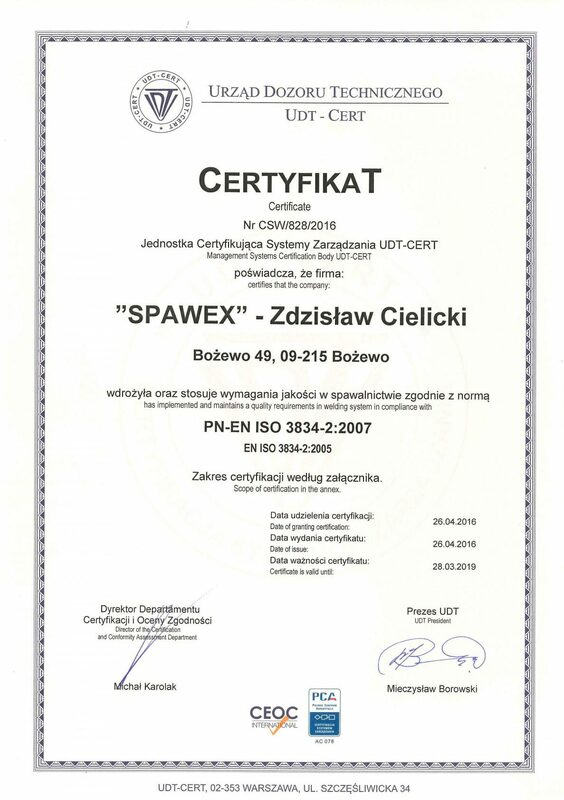 welding quality requirements according to PN-EN ISO 3834-2: 2007 (EN ISO 3834: 2005). © 2018. 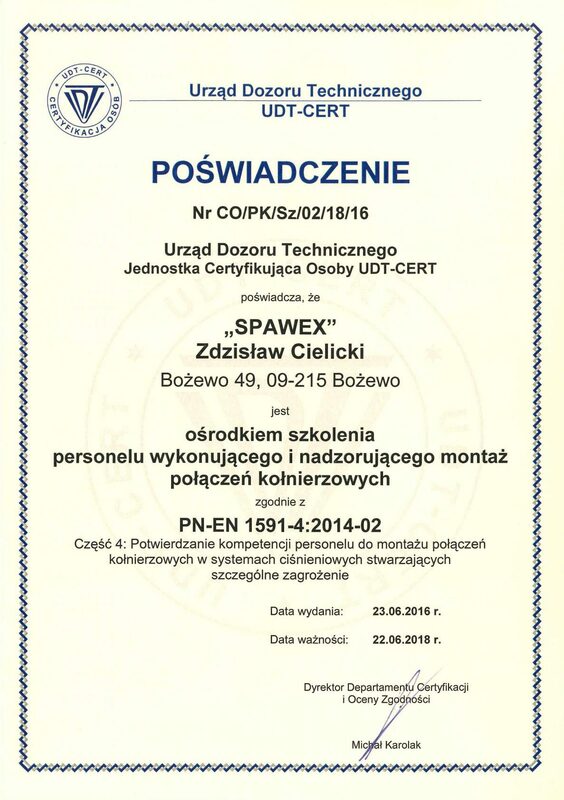 SPAWEX - Zdzisław Cielicki korzysta z ciasteczek. 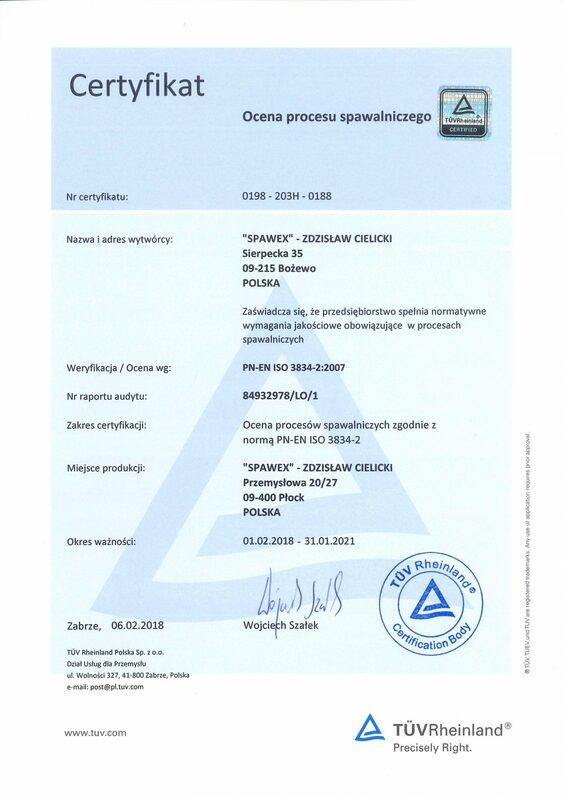 | Wdrożenie strony E-integra Sp. z o.o.